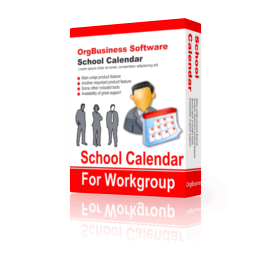 This is a more powerful version of School Calendar, with all of the features of the standard version, but with the additional capability to share data in real time over the Internet. Let us host your online program! No need to install anything. We will host our web program for you in the cloud for lifetime! You do not need any IT skills to start using our web software. 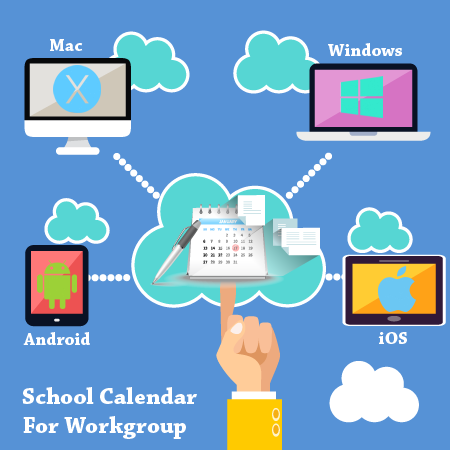 School Calendar is a universal calendar for teachers and pupils from high-schools and colleges, letting them track lessons and tasks to do, organize the studies more effectively than before. To plan time and eliminate overlapping of classes, the calendar lets you track a single pupil or teacher, group of pupils, classroom or school teaching staff. The calendar is ideal as a single reference point for information about classes, details, material, notes and comments. The calendar has an automatic search option and auto-completion of information about a class if it has ever been entered into the database. For more convenience, there are different viewing modes: calendar with a vertical or horizontal timeline or a table-like one. Reminders can help users never miss the class or important event again. Introduced specially for teachers is an ability to see the payment details for any particular date. Exchanging data with other applications (Apple iCal, Microsoft Exchange Server and Android apps) is made easier with the new support for the iCal data format. Included is an auto-backup option with an opportunity to remove old archives automatically. You may obtain a collection of days which are considered holidays for the specific country, and add these holidays to the scheduler. The calendar is password protected against unauthorized access.